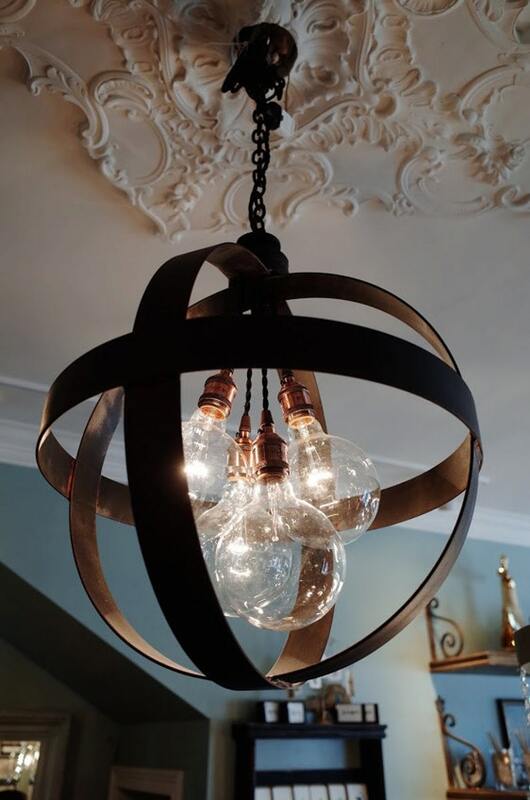 Handcrafted sphere measures 18" in diameter and contains 4 40W glass globe bulbs (5" diam) Bulbs Included! Constructed from steel and cast iron. Includes 3' of chain and heavy cast iron canopy as well as all hardware necessary for hard wired install. Bulbs are suspended from twisted cloth covered cord.